The sensation of the 1980s returns to appeal to a new generation. The Good Luck Trolls, led by Poppy (Anna Kendrick), live in harmony and happiness when an enemy from the past returns to eat them. The Bergens believe the only way to be happy is to eat the trolls. 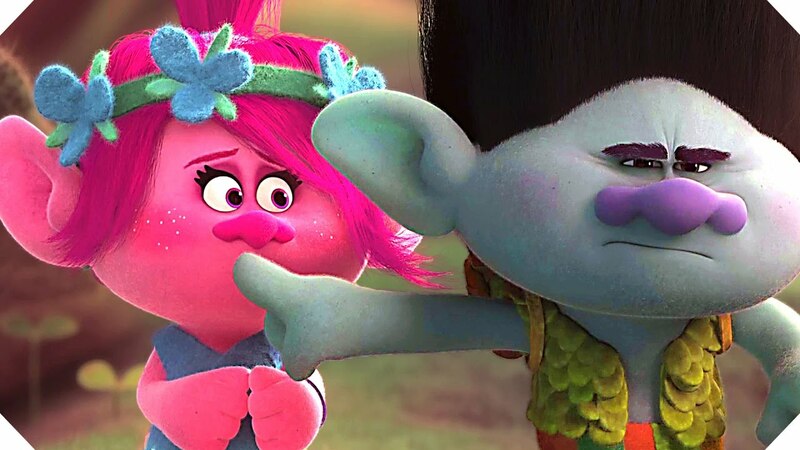 Poppy goes on a quest to rescue the kidnapped trolls from their appetizing fate with the help Branch, a not so happy troll (Justin Timberlake). The all-star cast includes celebrities such as Russell Brand, James Corden, Christine Baranski, and many more lovable characters. When you have J.T. and a star from “Pitch Perfect” in the same film you know there’s bound to be a solid soundtrack to go along with the film. To go with the popular toys, the film features modernized versions of songs known between 1980 and the early 2000’s. The band Earth, Wind, and Fire even helps contribute to the soundtrack. I will admit that I thoroughly enjoyed the film. The overall story is fairly amusing. I love the irony when Branch says he likes the sound of silence, and Poppy starts singing Simon & Garfunkel’s classic song, “The Sound of Silence.” The concept art is definitely something to make note of. As a standing joke, the trolls love to scrapbook. Nearly everything in the troll’s world seemed to be made of felt and troll hair. A few of the troll’s specialties are glitter, so glitter is everywhere.